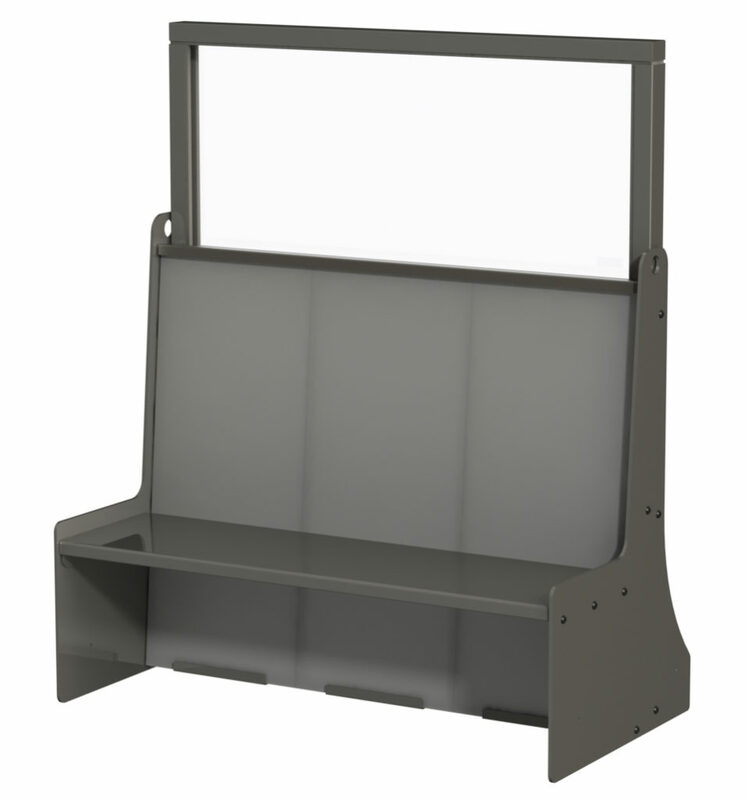 Safe Bench with Glass | Defenshield, Inc.
Bullet resistant protection for Personnel Access Points, storefront locations, recruiting station, court rooms, security checkpoints, hallway security, and airports. Provides bullet resistant protection in any situation without the use of tools. Up to NIJ Level IV Protection in a mobile platform. Provides overlapping coverage between opaque armor pieces as well as between opaque and transparent armor. User replaceable armor and glass in the field without tools. Entire unit can be assembled without tools. Can be anchored to the ground. Transportability: Entire system can be broken down in minutes. All units are available with CamographyTM in limitless colors and patterns to match any surrounding.